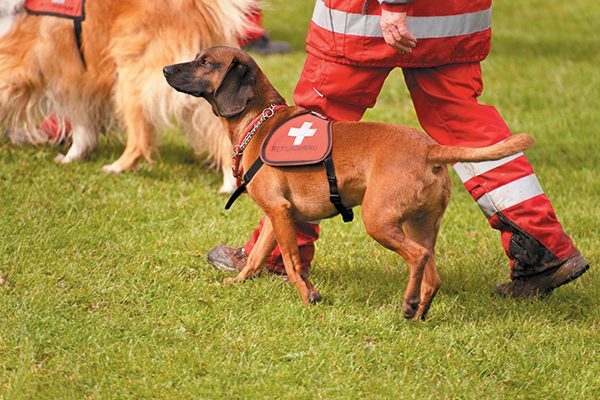 How can you train a working dog breed to provide a service? Photography by 3quarks/Thinkstock. Dogs need to learn about the world at large in a positive way by 12 to 16 weeks of age. This doesn’t mean an out-of-control puppy class! It means exposing them to many different people, places and things in a manner that adds a positive experience to the puppy. Never force a puppy to investigate something if he is fearful. Work slowly and help him when he comes across new stimuli that frighten him. A well-socialized dog is crucial. The more we can give puppies positive brain-expanding experiences, the better their decision-making skills become. I love mind puzzles, nose work, lots of playtime, agility (being careful not to stress growing bones) and meeting other safe dogs and puppies. The brain is like a muscle, and whatever portion of it is used most often will expand and shrink other portions, so it’s crucial to put a young dog in many situations that build confidence and decision-making skills. Clicker training works! It’s an amazing method of communication between two species. Done correctly, it tells the dog, “Yes! What you just did was right!” It improves the dog-handler relationship as well as installing a lifelong love of learning in the dog. How do you train a working dog breed? Photography by GoodPhoto/Thinkstock. Don’t overexercise a puppy or a dog. Young puppies are still maturing physically and can sustain injuries if pushed too hard too soon. Working dogs have lots of stamina and energy that they need for their work. It’s our job to harness that energy into a healthy level of exercise and mental stimulation. Work with your veterinarian and a qualified, positive-reinforcement trainer to come up with a plan of action for your dog. The dog needs mental stimulation in addition to exercise. Equally important is teaching a high-energy dog to “settle” on a mat and to enjoy downtime. Sometimes the level of a dog’s understanding of a cue is literally a life or death matter. For example, police dogs need to understand very clearly who it is they are sent to take down, and they need a release cue they can answer to even in high-stress situations. Using positive reinforcement training is the first and best way to train, as it builds the handler-canine bond and makes learning a joy for both the teacher and the student. All five of these things are important and vital to all dogs. If you get a working dog breed or mixed breed, you must have a plan of action to guide him into his working life. A working dog in action is a glorious thing to see. It makes sense to work hard on behalf of your hardworking companion and partner. Annie Phenix, CPDT- KA, is a professional dog trainer based in Utah. She is a force-free trainer specializing in working with troubled dogs. She is the author of The Midnight Dog Walkers: Positive Training and Practical Advice for Living with Reactive and Aggressive Dogs. For more information, visit phenixdogs.com. 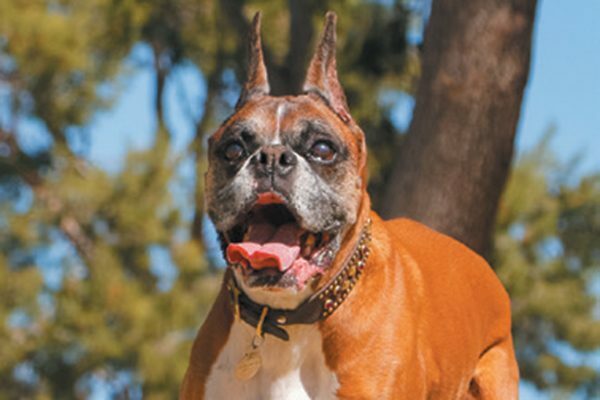 The post 5 Training Tips for Your Working Dog Breed appeared first on Dogster.